He was right. I had not provided any concrete details explaining how the program works. With his help I decided to share the following experience. Flashback 6 months. Zaden is coming up on his first birthday and I was having mixed feelings about my postpartum body. I secretly loved all of my stretch marks because they showed my pride in my ability to create a nice home for Zaden before his birth. But, I wasn't feeling energetic or happy about being so squishy. I specifically remember telling myself that it's because I'm breastfeeding and that's why I'm always so hungry and heavier than usual. I had my ups and downs with going to the gym and eating what I thought was a nutritious diet but never succeeded in changing my actual lifestyle. Several times I told myself I was going to change. I tried to think of meals that fit the diet I had in mind. I looked in cookbooks and online for ideas but I couldn't make it work. Zaden and I would head down to the supermarket and buy vegetables, meats, spices and everything else. We would make a meal or two and get lost. I couldn't find any other meals that sounded appealing to everyone, were healthy, didn't take too long to make, and were within my skill limit. Half of the ingredients were forgotten and went bad in the fridge. Where does Weight Watchers come in? Why am I rambling on about my failed experiences in changing my lifestyle? Simple Start fills in all the blanks. First and easily my favorite part of the app is a reminder of your goal every time you open it up. 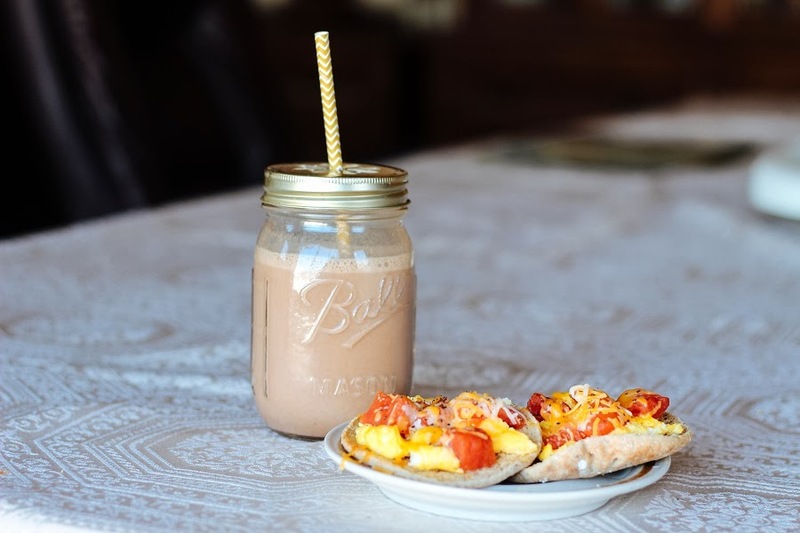 I pull my phone out and open the app and across the top if the screen it states my goal, “I want to be a healthy and strong mom and wife.” My second favorite part of Simple Plan is all of the pretty food pictures and simple recipes. If I have a craving and do some searching and come across something I like and BAM, a picture of what it looks like is right there with it. Simple Plan also makes it easy to make ideas into meals. Have an idea of what you want but can’t come up with an actual meal? Simple Plan allows me to use "Power Foods" in order to create a custom a meal for what I need. Another great strength of the app is the Simple Start Food List. Plan and organize your meals and then form a grocery list so you don’t have to make a second trip to the grocery store and so you can avoid food being wasted. Something that I had been doing prior to trying Weight Watchers Simple Start is counting calories. If I ever messed up I was always so hard on myself and I would skip my cheat day. Don't get me wrong, counting calories and paying attention to food labels is a great way to see how nutritious the food you are eating is. But it can be time consuming and leave you feeling stressed. I kept tabs on all this stuff on my phone through various apps. 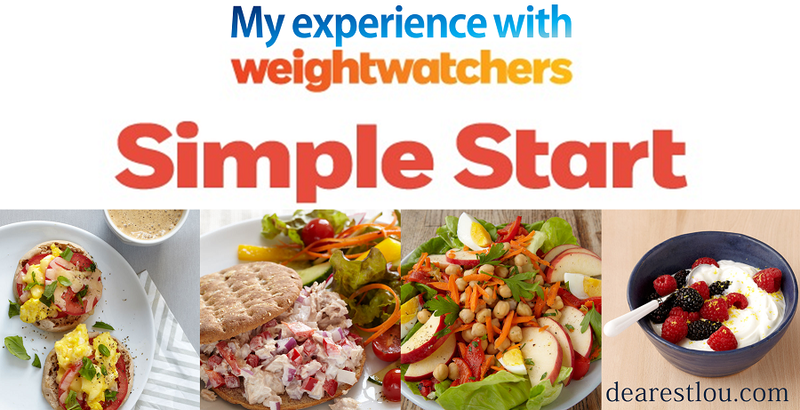 I've just completed my first week of Weight Watchers Simple Start and I would be lying to you if I said I had a perfect first week. Day 1 was on Valentines Day and I ate all sorts of goodies but didn't go overboard. The remainder of the week I have tried my hardest to follow the program and it has been so easy. Since I was already being mindful of what I was eating I realized that a lot of the meals I was eating prior would fit under the Simple Start meal requirements. 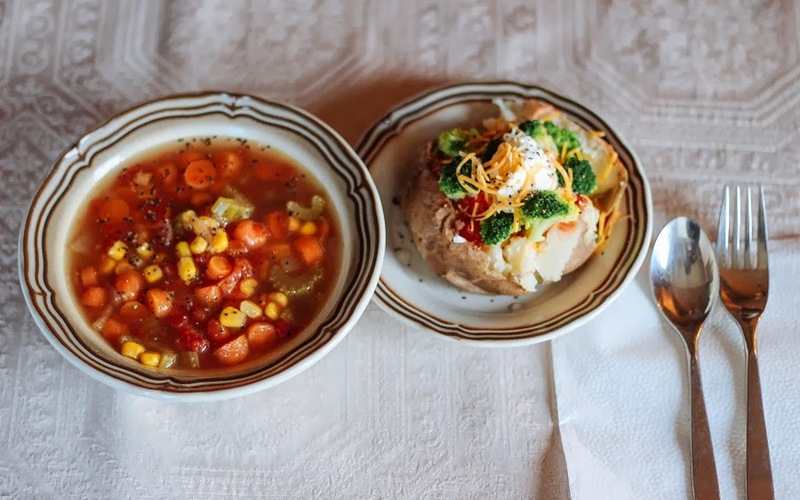 The app is super easy to use and you are even able to custom make your own meals. There is also a little suggestion area on each recipe that details items you can use if you don't have everything it calls for. Overall, the biggest difference I feel is I actually feel full and satisfied after every meal. That is something I almost never felt when I was counting calories. I always found myself yearning for sweets. However, Simple Start even allows indulgence items and you can "spend" your 7 PlusPoints on them however you choose. I usually use my indulgence item on cheese (1 oz = 3 PlusPoints) or chocolate (1 oz = 4 PlusPoints). I love knowing that if I'm craving something not so healthy I can use some of my PlusPoints towards that item without feeling guilty. 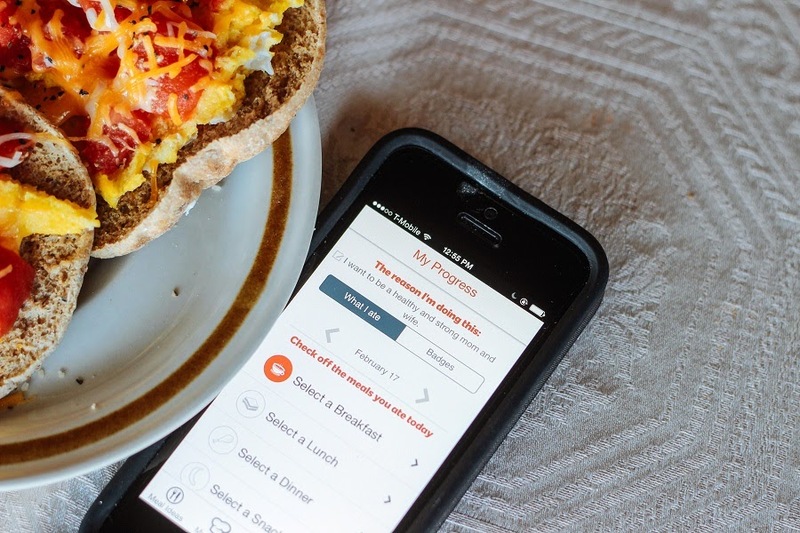 TLDR: Weight Watchers Simple Start is a great app because it makes managing your diet and planning your meals simple and its right there with you everywhere you go. I've always wanted to try Weight Watchers! It looks like such a great program and I've heard nothing but good things about it. But I just can't seem to justify the price as a recent college grad. I was actually told you can add 14 indulgence points to your 7= 21 per day!